Space Flight Laboratory (SFL) will be celebrating their 20 years in business by showcasing their nanosatellite and microsatellite successes from February 5 through 8 at the 2018 SmallSat Symposium in Silicon Valley and CSCA Canadian Small Satellite Symposium February 13 to 15 in Toronto, Canada. SFL Director Dr. Robert E. Zee will present “Perspective on 20 Years of Small Mission Breakthroughs at SFL” at the Toronto conference, which is sponsored by the Canadian Space Commerce Association. Established in 1998 as a self-sustaining specialty lab at the University of Toronto Institute for Aerospace Studies (UTIAS), SFL offers end-to-end microspace services from concept design and development to launch and operations. During the past 20 years, SFL has developed and launched 22 smallsats that have achieved 78+ cumulative years in orbit. Eleven new satellites are now under development at the SFL facility in Toronto. From its first microsatellite, the Canadian MOST space telescope launched in 2003, SFL has designed and built entirely new hardware and software technologies customized to the unique requirements of smaller satellites. These breakthroughs include advanced attitude control for precise pointing and tracking, modular power systems for multiple spacecraft sizes, and cold/warm gas propulsion systems tailored to sub-100kg platforms. 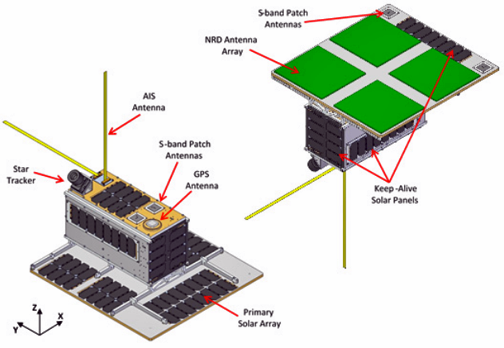 NorSat-3 smallsat concept illustration, courtesy of SFL. after their 2017 launch, resulting in SFL being awarded the development contract for NorSat-3 in 2018. CanX-7 nanosatellite, launched in 2016, successfully demonstrated aircraft tracking followed by drag sail deployment for orbital debris mitigation. GHGSat-D microsatellite launched in 2017 by GHGSat Inc. to demonstrate that point sources of greenhouse gas emissions on Earth could be detected from orbit, leading to SFL being contracted to develop GHGSat-C1 and -C2 for commercial operations. CanX-4 and -5 nanosatellites launched by Canada in 2014 became the first satellites of their size and ultra-low cost to achieve precise, autonomous formation flight with centimeter-level knowledge and sub-meter level control accuracy in low Earth orbit. Dr. Zee stated that for two decades, SFL has been delivering big returns for their clients by developing smallsats on tight schedules at a fraction of the cost of larger satellites. The company's missions have successfully carried out Earth Observation (EO), RF communications, atmospheric sensing and other applications traditionally performed by larger satellites. The technological advancements developed at SFL have opened the door for nanosatellites and microsatellites to perform complex missions that are also extremely cost effective. 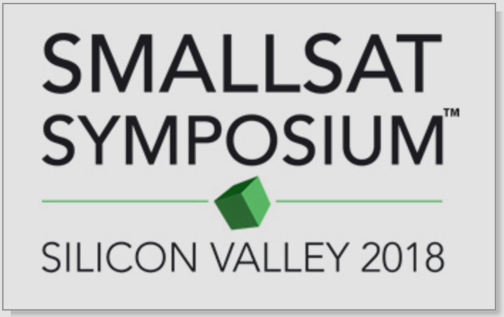 For details on the 2018 SmallSat Symposium in Silicon Valley, please visit the show website at www.smallsatshow.com. Garner an incredible amount of smallsat knowledge and expertise by attending the SmallSat Symposium from February 5 to 8 at the Computer History Museum in Mountain View, California. To learn more about this major event, please visit https://smallsatshow.com.